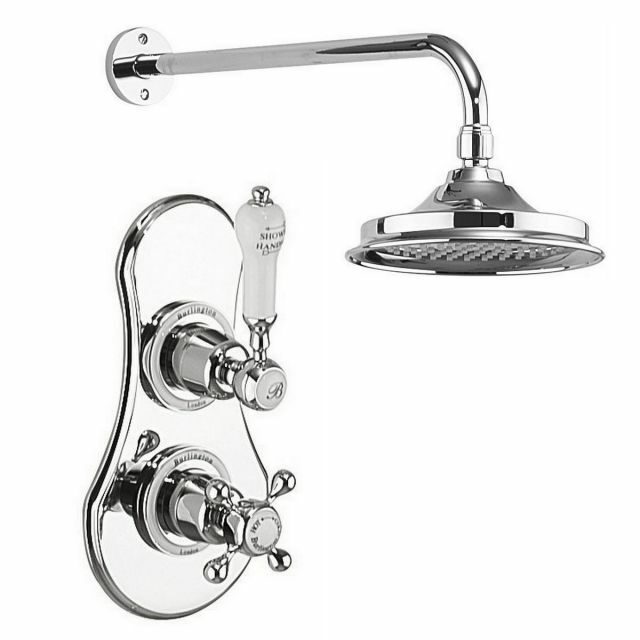 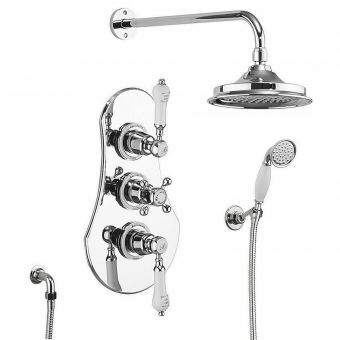 The Burlington Severn concealed valve is a traditionally styled Victorian shower valve with a curved back plate design. 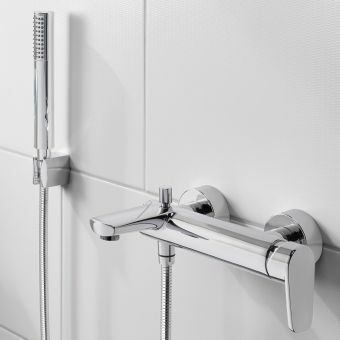 This single outlet valve has a lever handle at the top that controls the on / off action, and a temperature control handle at the bottom for accurate thermostatic control. 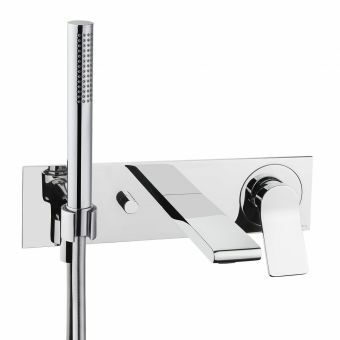 The indices (round ceramic decorative parts) and ceramic handle can be specified in either black or white. 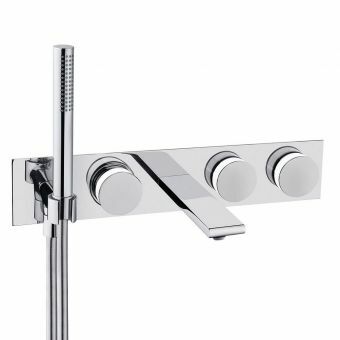 The handle design itself can be ordered in 3 different shapes, this allows for a great variety of design options for different victorian bathroom looks, or more contemporary classic interior design. 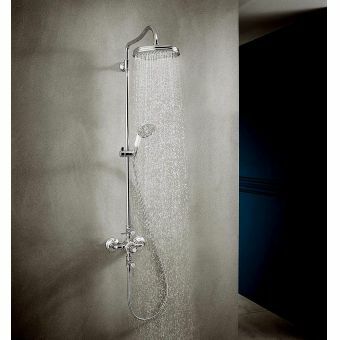 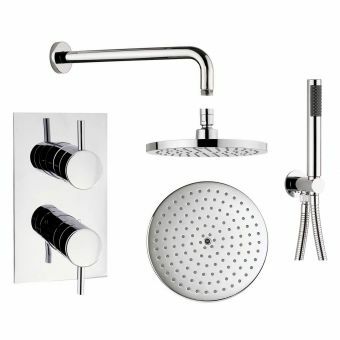 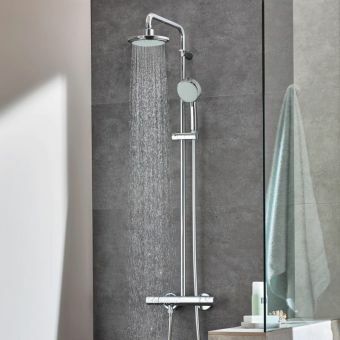 The overhead shower is available in 3 different sizes for use in a variety of different sized shower areas, so there is an option for every type of bathroom! 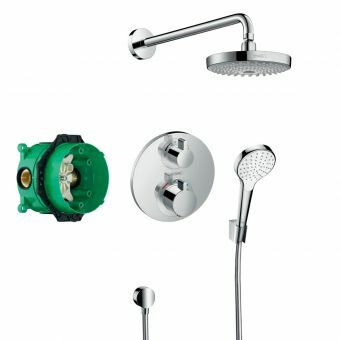 V16 | Burlington Severn Concealed Valve with Showerhead - Head Size 6"
V17 | Burlington Severn Concealed Valve with Showerhead - Head Size 9"
V60 | Burlington Severn Concealed Valve with Showerhead - Head Size 12"